Snowshoeing in Missoula is truly an adventure. With the ability to set out in any direction and find unmistakable views and a winter wonderland, is what makes snowshoeing here great. 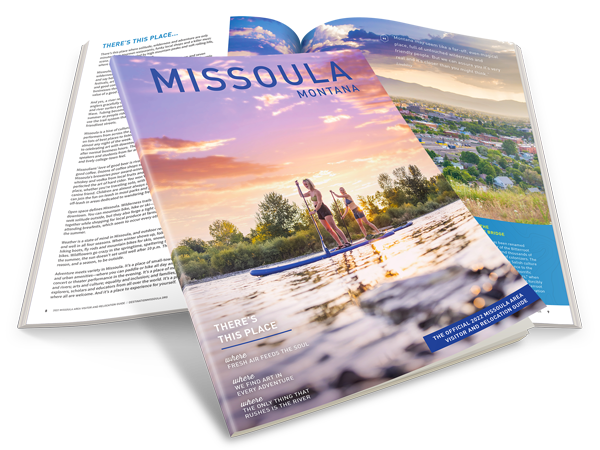 With the major trailhead only 4.5 miles north of Missoula, the 61,000 acres of glaciated topography in the Rattlesnake National Recreation Area and Wilderness form Montana's premier urban wilderness, blending the best of both wilderness and civilization. The U-shaped Rattlesnake basin is fed by more than fifty small creeks that begin as seeps from springs and melting snowbanks in the upper Wilderness portion of the recreation area. When snow conditions permit, the main Rattlesnake and side drainages are readily accessible to cross-country skiers. Missoula Nordic Ski Club offers some grooming of the Rattlesnake Recreation Area from the main trailhead to Franklin Bridge.